When Does a Pre-Approval Letter Expire? 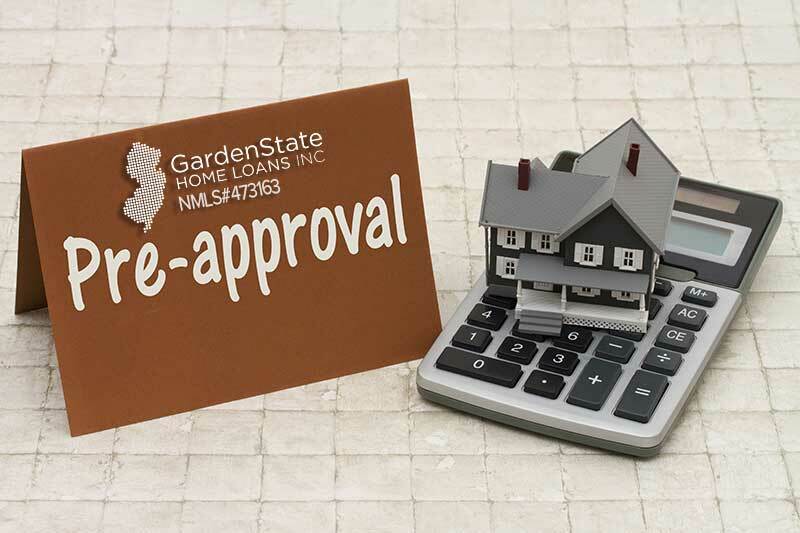 A pre-approval letter is a conditional agreement that states how much of a home you are able to afford. It states that you qualify for a given loan amount at a given interest rate. Since mortgage rates change daily (or sometimes even hourly! ), lenders often make the pre-approval letter valid for a certain period of time to lock you into a rate. Pre-approval letters are especially important in competitive markets, as it shows the seller you are serious and ready to buy. Pre-approval letters are typically valid for anywhere between 45 and 60 days. However, sometimes they can be good for up to 90 days. When you obtain a pre-approval letter, there will be a date on the top telling you when it expires. A pre-approval letter expires because a bank needs to be up-to-date with your financial information. This includes your salary, assets, and debts. Three months is long enough for you to have left a job, taken on new debts, or spend what was in your account. Keep in mind that even if you are pre-approved, it is likely that lenders will still want an updated set of pay stubs and bank statements around the time of closing. 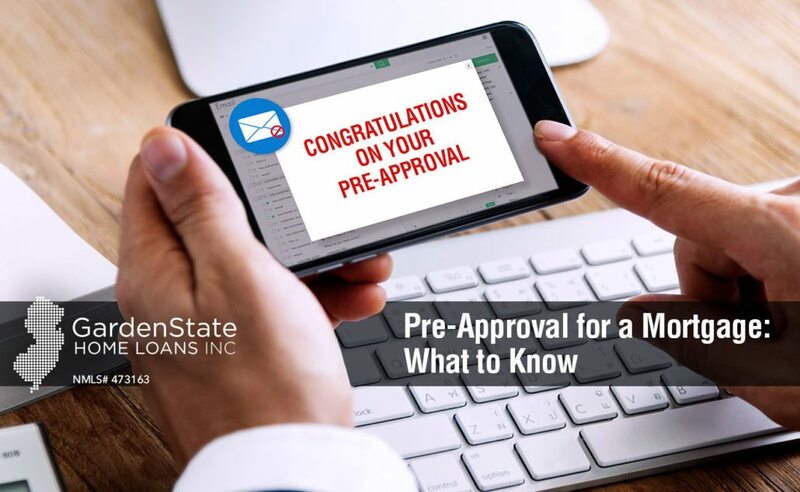 If your initial commitment period has expired and you still haven’t found the right home, you’ll need to get an updated pre-approval letter from your lender. If you go to the same lender, it can be as simple as re-verifying your financial documents. Bring to your lender any updated pay stubs and bank statements. If nothing major has happened to your finances, you should be able to get a new pre-approval letter from your lender. 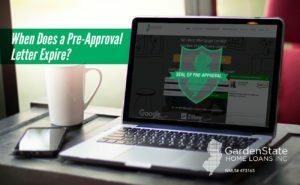 https://www.gardenstateloans.com/wp-content/uploads/2017/11/when-does-a-pre-approval-expire.jpg 800 1300 Dori Gelman https://www.gardenstateloans.com/wp-content/uploads/2017/05/fb_logo-300x141.jpg Dori Gelman2017-11-21 11:27:372017-11-21 11:51:27When Does a Pre-Approval Letter Expire? The mortgage application process can be both a difficult and a confusing process, but it can also be an incredibly rewarding one. Consulting with a lender and receiving pre-approval for a mortgage loan is the first big step towards becoming a homeowner. To obtain pre-approval for a mortgage, borrowers must undergo a period of close scrutiny from a lender. The lender evaluates the borrower’s financial situation to determine how much they can borrow, what loan programs they might qualify for, and the appropriate interest rate offerings. During this process, lenders consider factors such as credit score, employment history, place of residence, monthly expenses, and income history. Documents like pay stubs, W-2 forms, bank statements, and credit reports are just some of the items that lenders require for pre-approval. Borrowers will also have to fill out a loan application before they can receive pre-approval. Mortgage pre-approvals help create a loan package that is best suited to you and your needs. After receiving a pre-approval letter (PAL), you can get a better sense of what loan options are available to you. In addition, you can prepare your finances for purchasing a new home. Your PAL will detail purchase pricing and interest rates, information helpful to you when assessing your budget constraints and loan options. This will make the home purchasing process far less stressful for you – as it should be. Having a mortgage pre-approval signals to real-estate agents and home sellers that you are both a reliable and an attractive buyer. Depending on the lender, the mortgage pre-approval process may take about 2 to 4 weeks to complete, so be sure to start the mortgage pre-approval process 4 to 5 months before beginning your search for a new home. PALs are typically valid for 45-90 days. If unable to obtain pre-approval for a mortgage, you can still apply for a mortgage and weigh your options. Get a second opinion and approach other lenders for pre-approval. If your credit score is an issue, do what you can to boost it, as increasing your credit score can provide you with better interest rates and loan terms. You may also want to consider increasing your down payment in order to qualify for a better loan. Learn more about mortgage pre-approvals and other aspects of the mortgage application process. Applying for a mortgage requires you to put a lot of information out on the table. Some of the documents you’ll need include: tax returns, pay stubs, bank statements, and proof of homeowners insurance. It is important to begin collecting this information well before you initiate the mortgage application process. Having everything ready will ease your lender’s job as they won’t have to wait for you to gather information or hound after you when something’s missing. Additionally, it is important to practice full disclosure with your lender. The mortgage application process has a tendency to dig up information people neglect to mention, so being up front with your lender can avoid any unwanted surprises. An important step towards streamlining your mortgage application process is to form a positive relationship with your lender. Maintaining clear and open lines of communication as well as checking in with your lender regularly will keep you in their mind and reduce delays in the application process. Having a strong and positive borrower-lender relationship benefits both parties, as the borrower leaves the experience happy and will be more likely to recommend the lender to friends and family. As a borrower, it is vital for you to manage your time effectively throughout this process. At the end of the day, the process can only move as fast as you do. If at any point during the process your lender needs more information from you, give it to them promptly instead of waiting until the last minute. Make adequate time in your schedule for each step of the process to avoid deadlines sneaking up on you and slowing things down. Do your best to avoid any significant changes in your financial situation. Of course certain happenings may be unavoidable, but the time in which you are applying for a mortgage is not also the time to purchase a car or pursue your master’s degree. It’s also smart to avoid depositing large amounts in your bank account or dramatically increasing your credit card spending. Any changes in your financial situation should always be presented to the lender as soon as possible. Hopefully these tips will help ease your mortgage application process and save you unnecessary stress. 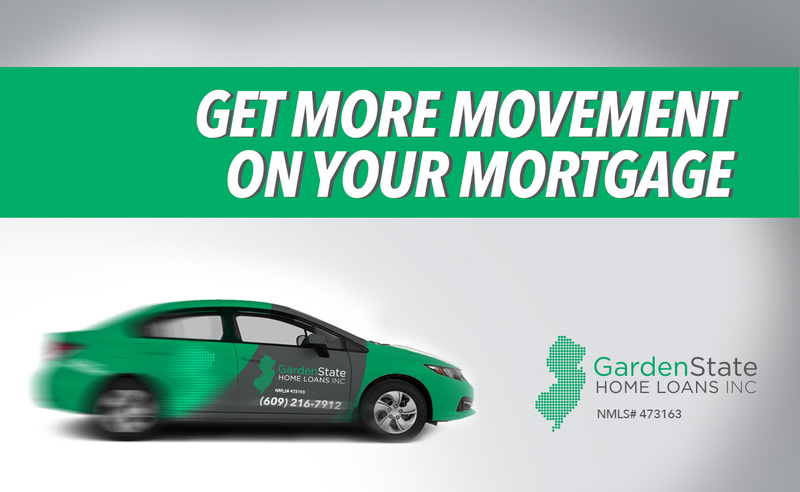 Here at Garden State Home Loans, we are committed to servicing all your lending and refinancing needs at a pace that works best for you. 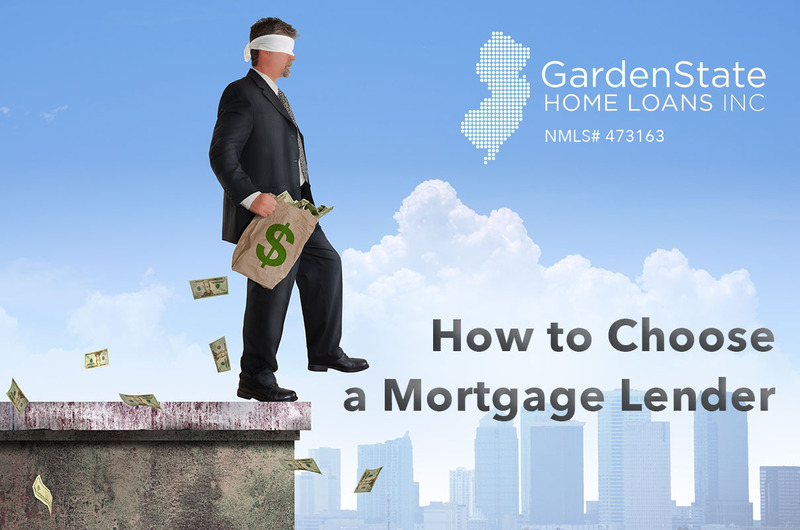 Finding a mortgage lender can be a difficult process, but one of the things that you need to get right. To start your search, get recommendations from others. An easy way to start your search is by asking trusted who they use. At this phase, collecting as much information as possible will help make finding a mortgage lender a lot easier. Ask questions like, “Are you satisfied with your mortgage lender?” or “Do you know of any mortgage lenders with good reputations?”. You can also call your real estate agent for insight into these questions. Many mortgage lenders have online profiles and portfolios, whether smaller or larger lenders. Beware of unsolicited advertisements. Some lenders and brokers may advertise rates that are not real or do not reflect the current market. Unsolicited material can be found in emails, voicemails, or leaflets. After your research process, find at least three lenders who you think would best fit your needs and schedule interviews with them. Make a list of questions you’d like to ask them, such as how long they’ve been in the business and if they have references or testimonials from past clients. Be sure to ask about their application process and ask about rates and fees. Good lenders will ask you a lot of questions, as well. They will ask questions about marital status, bank balances, incomes, credit scores, and previous homes owned. After the interview process, compare the information you’ve gotten from each lender. This will help you determine which lender is right for you. This can be done on your own but can be furthered along with the help of a financial advisor. They will help you decide which lender is best for your current financial situation and your future goals. Once you have gathered everything you need to make an informed decision, it’s time to act on the knowledge you’ve gathered. Remember, choose a lender that is both professional and involved. When getting pre-approved, there are some documents that you might be asked for. Proof of Employment: A mortgage lender might want to see a list of employers for the past two years, maybe longer. In addition to the name of your employer, a lender will want to see a mailing address and phone number. This helps the lender see your ability to repay the loan. Proof of Income: Proof of income is used to validate your income. This can come from your two most recent pay stubs, or an electronic equivalent, that shows your year-to-date earnings. Your lender will want to know what your average annual income is. In addition to your proof of income, a lender will use tax records to verify your income. Social Security Number: The social security number is needed for anyone who is on the mortgage loan. This information can be verified through a social security card, any tax documents, or other documents that show your social security number. Your SSN is used to verify your identity and to pull up your credit. Tax Documents: This is a standard document for obtaining a pre-approval. Most lenders will want to see your W-2 statements and tax returns from the last two years. This shows how much more you’ve earned over previous years. These documents are some of the most likely your lender will ask you for. Place of Residence: A lender will want to know where you have lived for the last few years. Bank Account Information: A lender will want to know if you have sufficient funds in the banks for all costs endured during the home buying process, including, closing costs, down payment, and cash reserves. A lender might ask you for account statements and balances for any of your checking, savings, or money market accounts. All lenders will ask for this. Credit Information: If you have any outstanding loans that you are repaying, the lender may ask for documents related to those loans. Lenders want to see your debt to income ratio and these documents help them calculate that. Gift Letters: If any family members or friends are helping you with your down payment, you’ll need to provide your lender with a gift letter along with the other mortgage documents. Gift letters show that the money given is a gift and that the provider is not expecting repayment in any form. Monthly Expenses: It is possible that you will be asked for a list of your monthly payments, including your rent, credit cards, and student loans. Self-Employment Documents: If you own your own business, you might be obligated to provide additional documents for your pre-approval, including balance sheets, profit-and-loss statements, and federal tax statements from the last two years. Looking for more information on pre-approval documents? Check out our mortgage resources section which offers some additional insight. Update: Check out our PDF download: mortgage application document checklist and pre-approval documents.